Idtracker.ai is a mix of conventional algorithms and artificial intelligence developed at the Champalimaud Centre for the Unknown. From the video footage of a moving crowd composed of dozens of individuals, it learns to identify each and every individual in that crowd. 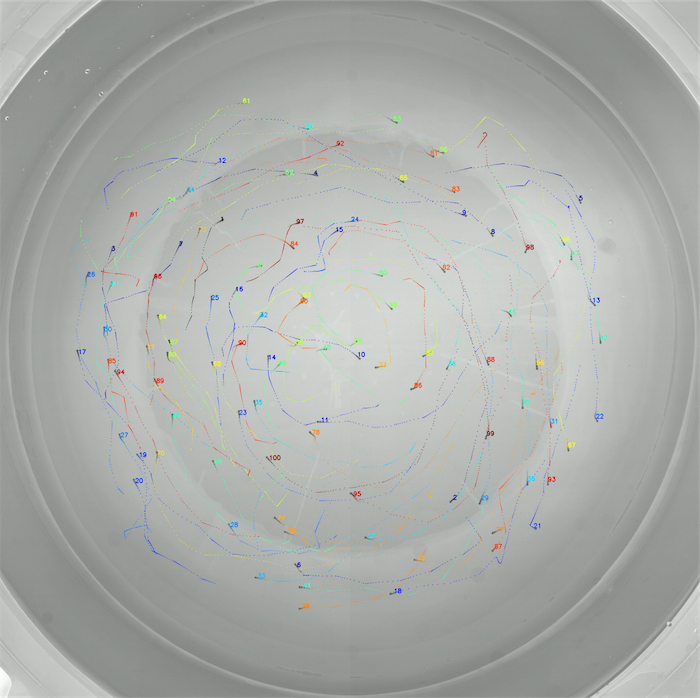 The Collective Behavior lab has now shown that it takes about an hour for idtracker.ai to identify each and every one of 100 zebrafish in a video, at all times, with almost 100% accuracy.